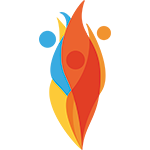 Visit our new website at JewishSierraVista.com! 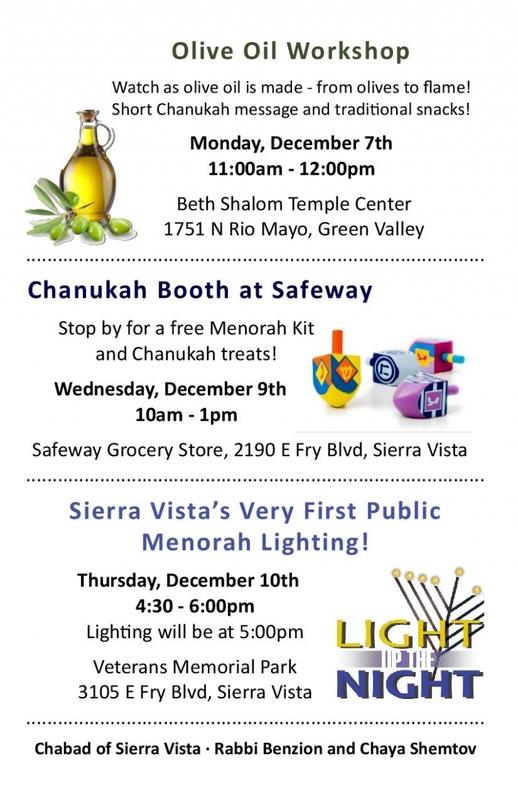 Rabbi Benzion Shemtov was recently featured in the Sierra Vista Herald, which reported on his visit to Jews in Southern Arizona communities including Sierra Vista, Bisbee and Green Valley. Shemtov, the son of Rabbi Yossie and Chanie Shemtov of Chabad of Tucson, grew up in Tucson. 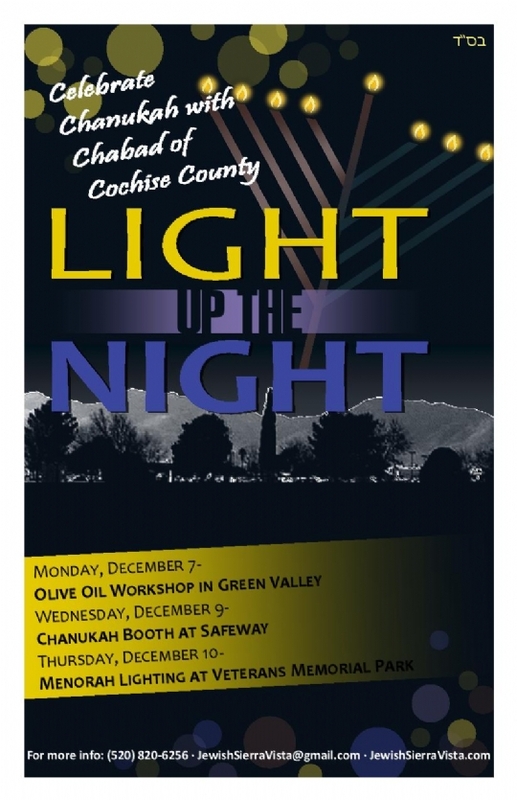 He and his wife Chaya are establishing Chabad of Cochise Country, based out of Sierra Vista, to provide Jewish and holiday programs and Torah classes for all ages in the area. We have officially made the move to Arizona! Our relocation to Sierra Vista has been featured on social media on a number of news outlets. Click here, here and here to read. I will be arriving in Sierra Vista on Monday, April 11th, and will be leaving the 14th. My hope is to be able to distribute matzah and discuss the holiday of Passover with you. To schedule a home or business visit, for you or a friend, please contact me by responding to this email. On Thursday the 14th, at 5:00 PM, the Jewish Community is invited to join me at City Hall in Sierra Vista. Mayor Mueller will be presenting a proclamation declaring April 19, 2016, as Day of Education for the city of Sierra Vista. This is being done in honor of the 113th birthday of the Lubavitcher Rebbe. Today, more than 20 years after his passing, there are permanent Chabad-Lubavitch institutions operating across the globe per his instructions, providing a host of educational, social and religious services. Chabad of Sierra Vista is the 21st branch to open in the state of Arizona.